The Memphis Recipe for a Great Summer Cookout! 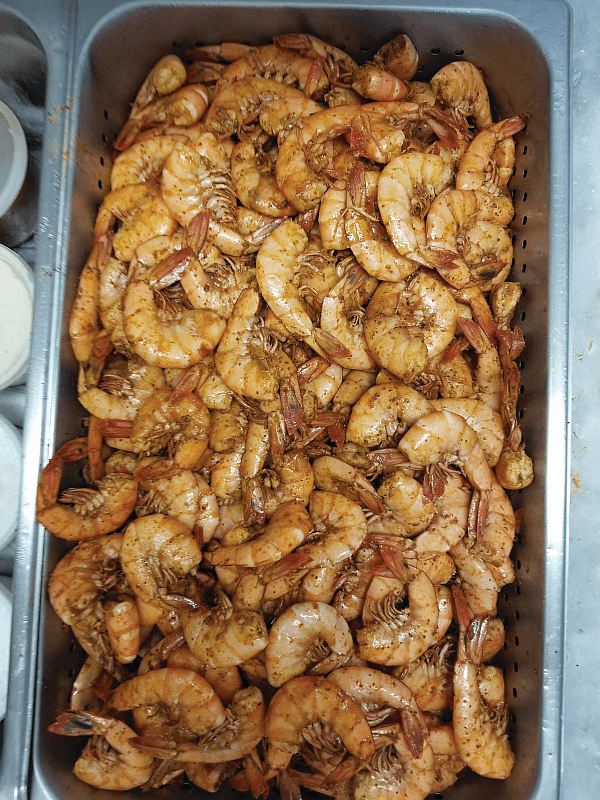 Paradise Seafood’s owners Ted Perkins and Don Willadsen have a passion for fresh seafood and providing their customers with fresh, wild-caught seafood. Sold at the Agricenter Wednesday through Saturday, plus other locations throughout the city, Paradise offers a variety of fresh seafood, fresh jumbo lump crab meat, fresh shucked oysters, smoked tuna dip (one of Ted’s creations), boiled shrimp, fresh yellowfin tuna and snapper, trigger triple tail, redfish, king crab legs, lobster tail, royal red shrimp, and much more. As a young boy growing up in Gulf Shores, AL, Perkins watched his grandfather run a seafood market and work as a commercial fisherman. Perkins’ uncle, a Millington native, saw the need for fresh seafood in the Memphis area. Ted, having amassed several connections in the seafood industry down in coastal Alabama, seized the opportunity to deliver fresh fish from his friends and wholesalers on the beach to landlocked Western Tennesseans; Paradise Seafood was born. One of Ted’s more loyal customers, Don Willadsen, would house Perkins in a spare bedroom for his five-day-at-a-time business venture, and the friendly relationship proved to be very profitable: Don and his wife became business partners. In fact, the now famous Paradise Seafood trucks were Willadsen’s brainchild and design. For more information, visit aparadiseseafood.com and sign up for their email/newsletter, or follow them on Facebook. The idea for Memphis Barbeque Supply (MBS) started when Jimmy Shotwell saw the need for a one-stop shop for all things barbeque and grilling in Memphis. 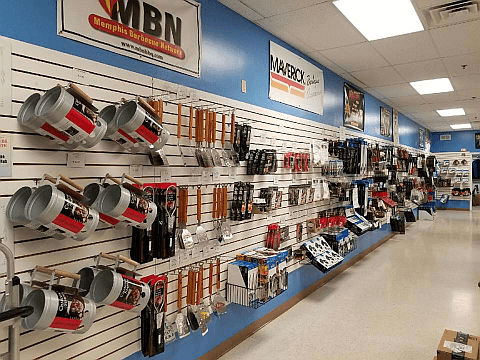 Through his travels round the country with his previous job, Jimmy discovered many great barbeque supply stores around the country but nothing available in the home of barbeque – Memphis. As an avid backyard griller and barbeque competitor, Jimmy realized that he and many others wasted time and money going from store to store or shopping online to get the supplies they needed for competitions or for grilling in the backyard. Jimmy turned to longtime friends and Memphis in May teammates Chris West and Will Hampton with his idea. With their help and the support of other family and friends, Memphis Barbeque Supply quickly went from just an idea to a thriving store carrying “everything but the meat!” The store opened in April of 2014. MBS carries “everything but the meat” for the backyard weekend griller and the professional competitor. 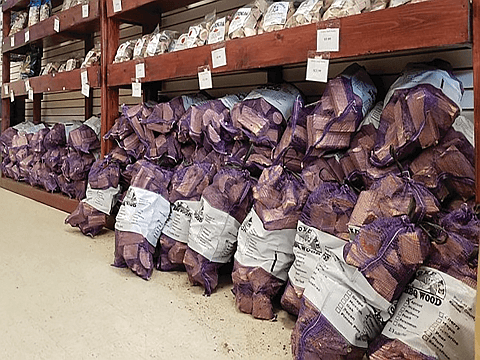 Stocking over 250 rubs and sauces, MBS listens to their customers to carry the brands and products they need, as well as plenty of new rubs, and injections from around the country for them to try. When it comes to grills, MBS carries both charcoal and gas grills along with smokers. MBS has sizes to fit the need of almost anyone. heated grill place the bacon roll over indirect heat at approximately 200-250 degrees. Cook the bacon roll until the internal temperature is approximately 160 degrees. Brush the bacon roll with your favorite BBQ sauce. Remove from grill and let it rest for 5 to 10 minutes. Then slice the bacon roll and serve. Memphis Marinades is a local company that began in 2011, and actually has roots in Ireland. Jim Boland, President, CEO and dual citizen of Ireland and the USA, judged a World BBQ Championship Contest in Ireland in 1995. 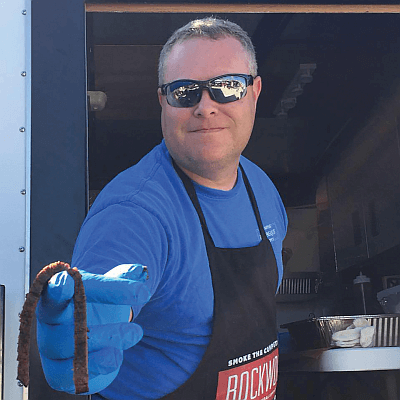 It ignited a passion that led him to competing in BBQ competitions, and along the way winning numerous trophies in Europe and the United States. 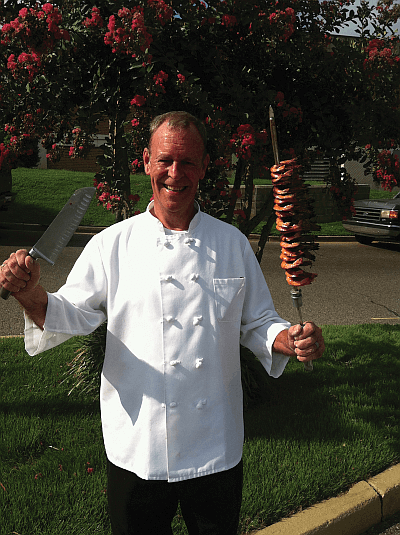 From those international beginnings, he designed the innovative Memphis Marinades. 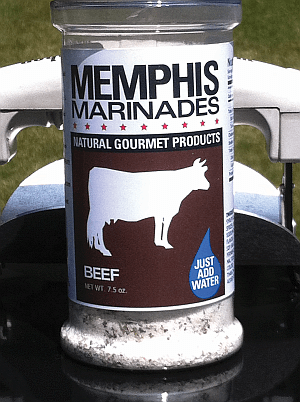 Memphis Marinades is a powder that is mixed with water to create Jim’s award-winning flavor, and he offers four marinades, each one specifically tailored for beef, pork, lamb, and chicken. The products are all free of MSG, comprised of 100% Natural ingredients, low in salt and sugar, and the chicken and pork marinades are gluten free & GMO free. 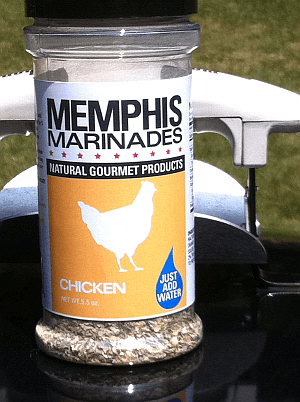 Memphis Marinades is available at Memphis area Whole Foods Markets and The Fresh Markets, plus at Charlie’s Meat Market, Germantown Hardware, ACE Hardware Store in Cordova, and online at memphismarinades.com. For Victory Lane BBQ owners Doug Golden and Erik Garner, the business got started during a conversation between the friends. “We were discussing what to do with a racecar I had, and Erik said, ‘Dude, let’s turn it into a grill.’ So we did,” Doug recalled. “In 2010 we formed Victory Lane BBQ, LLC, built the racecar grill, and started cooking at Tiger Lane for friends at Tiger football games.” Their first barbecue competition was in 2011 and since then they have grilled victorious as the Memphis BBQ Network Hog Team of the Year in 2013 and Memphis BBQ Network Overall Team of the Year for 2014, 2015, 2016, and 2017. 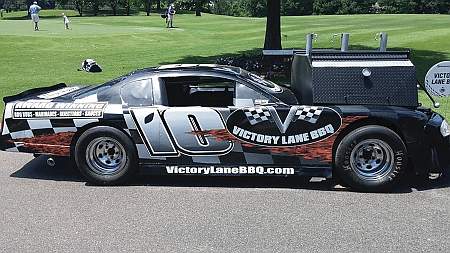 Victory Lane BBQ offers a wide variety of sauces, rubs, injections, and marinades, and they are excellent on pork and beef, as well as seafood and veggies. Competition pitmasters all over the world use Victory Lane, and often layer the flavors to enhance what they’re cooking. Victory Lane products are available at Memphis Barbecue Supply, in the local section of Kroger stores, and online at victorylanebbq.com. Make a bacon weave (Google instructions, if need be) and set aside. Make a bacon weave (Google instructions, if need be) and set aside. Mix all ingredients then form in a pan in the shape of a turtle. Place the bacon weave on top of the meat. With a smoked sausage, make a 3” head for the turtle; cut four 2-3” pieces of sausage for the feet. Slit the ends of the sausage and spread to make toes; use the last of the sausage for a small turtle tail. Once your turtle is assembled, add about 1/4 cup of water in the pan. Cook in an oven to 160 degrees. If too much grease, remove excess reserving some to mix with Victory Lane BBQ Original Sauce (or Victory Lane Spicy for a little more kick). Mix grease and sauce, then using a silicone brush, glaze the bacon weave and put back in oven for 5-10 minutes to let the sauce caramelize. First one to back away from the table is a turtle! 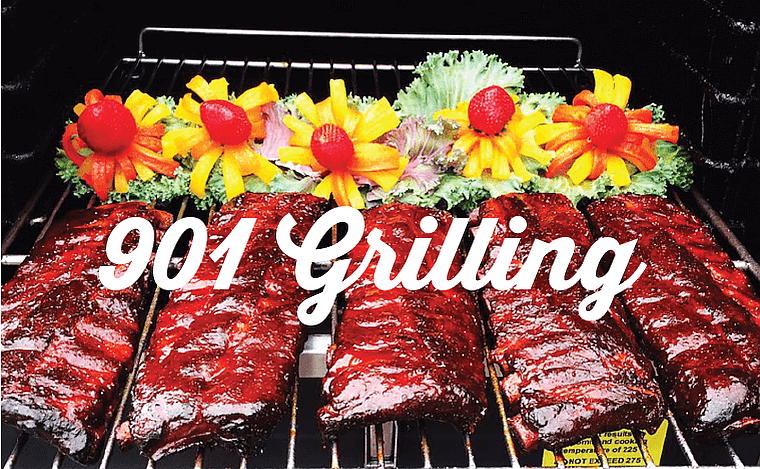 Share Local Grilling Inspirations from 4Memphis!